Preview images and spoilers for the NCIS: Los Angeles episode "The Monster"
While investigating a missing person’s case, the team uncovers a killer who puts on shows for high-paying voyeurs. 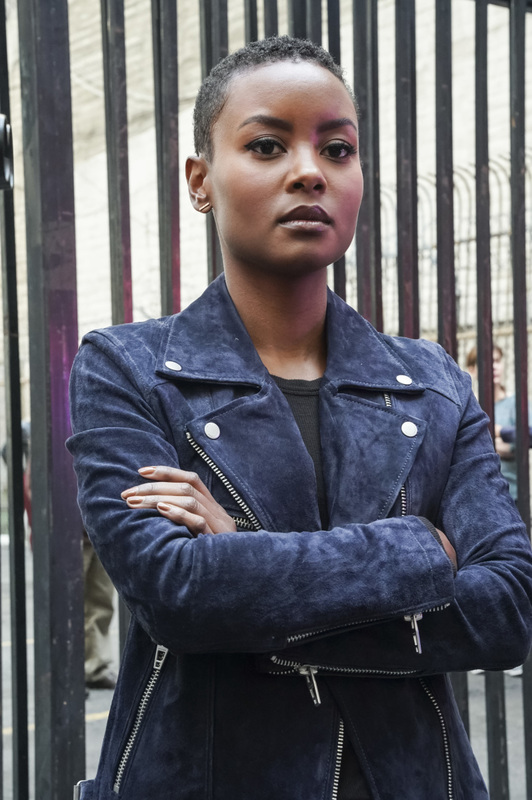 Also, Mosley assigns Callen as her partner on a joint ATF mission to apprehend someone from her past, on NCIS: LOS ANGELES, Sunday, April 1 (9:00-10:00 PM, ET/PT) on the CBS Television Network. "The Monster" - Pictured: Andrea Bordeaux (NCIS Special Agent Harley Hidoko). While investigating a missing personÃÂs case, the team uncovers a killer who puts on shows for high-paying voyeurs. Also, Mosley assigns Callen as her partner on a joint ATF mission to apprehend someone from her past, on NCIS: LOS ANGELES, Sunday, April 1 (9:00-10:00 PM, ET/PT) on the CBS Television Network. Photo: Ron P. Jaffe/CBS ÃÂ©2018 CBS Broadcasting, Inc. All Rights Reserved. Recurring cast in the episode includes Andrea Bordeaux as NCIS Special Agent Harley Hidoko. Guest stars in “The Monster” include Alicia Coppola (FBI Special Agent Lisa Rand), Rob Nagle (Albert Barrington), Laura Kai Chen (Mandy Huang), Natalia Castellanos (ATF Special Agent Cha’risa Swan), Christopher Rivas (ATF Special Agent Elliott Ross), Lamont Thompson (Spencer Williams), Tobias Jelinek (Robert “Bobby” Griffin), Dutch Johnson (Thomas Jones), Josell Mariano (Buyer #1), Michael Broderick (Cole Bingham), Kerrie Blaisdell (Cindy Ferguson), Matt Kelly (Justin Tucker), and Andy Marques (Navy Lieutenant Commander Timothy Weir).